First up today, the 2014 Coffee Spot Award shortlist for “Best Roaster/Retailer”. This is partly a new award and partly an extension of the Best Coffee Bean Retailer Award, which was won last year by Coffee Charisma. I modified it this year, partly because I wanted to recognise roasters (having started to write more about them in the Meet the Roaster series and partly because I really don’t get to visit many retailers these days, increasingly getting my beans directly from the roasters. Although the Coffee Spot is mostly about places to have coffee, I still drink the majority of my coffee at home, so those wonderful people who provide me with my coffee beans need a mention, be they roasters or retailers. The problem, with all these awards, is knowing where to draw the line for the shortlist and this Award is no exception. I’ve visited lots of coffee shops/roasters this year, but I’ve made a decision, by-and-large, to stick to either roasters I’ve written about as roasters. Similarly, I’ve excluded coffee shops which sell a range of beans. Bristol-based Clifton Coffee Company, which invited me over to its warehouse, roasting and training facility at Avonmouth where I partook in my first ever coffee cupping, as well as having a tour of the facilities. Winner of this Award (when it was “Best Coffee Bean Retailer”) for two years running, Guildford’s Coffee Charisma started selling tea this year. Surely grounds for immediate disqualification! Well, on second thoughts, maybe not. Glasgow‘s Papercup is a great little spot that packs in an impressive amount on the Great Western Road. There’s food, great coffee (espresso and three filter methods, V60, Clever Dripper and Aeropress, each with its own carefully-matched single-origin bean) and then, right at the back, the highlight: a 3kg Topper roaster tucked away at the back of the store where all the Papercup’s coffee is roasted. 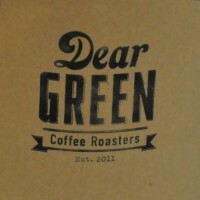 Dear Green is a name, for me, synonymous with speciality coffee in Glasgow. Roasting in the heart of the city since 2011, Dear Green has done much to spread speciality coffee through the city and beyond, supplying speciality coffee shops, such as Laboratorio Espresso, as well as bringing speciality coffee to places that you wouldn’t necessarily expect to find it, such as the Veldt Deli. In contrast to Dear Green, North Star, based in Leeds, has only been going for a year, but it’s already making a name for itself. 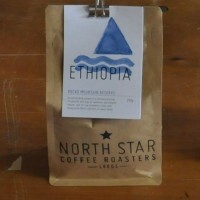 North Star is the city’s first micro-roaster, which is a quite a surprise considering the strong coffee scene in Leeds. Like Dear Green, North Star is spreading speciality coffee beyond the dedicated coffee shop and, currently, focusing heavily on the local market. Over the Pennines in Manchester is another newcomer, Ancoats. Head-roaster, Jamie, has been turning out some cracking coffee and is a particular favourite with my friends over in Caffeine Magazine. He also roasts a mean decaf! 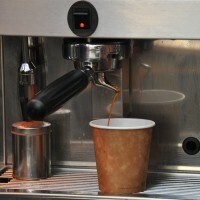 Finally we have Reading’s Tamp Culture, a coffee cart which thinks its a coffee shop. 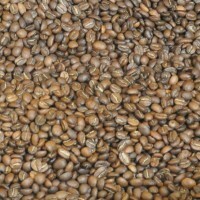 And a roaster. And a bean retailer. And a coffee equipment retailer. And it all fits into the back of a Piaggio Ape every night. Except the roaster that is. Now that would be impressive! 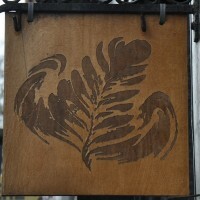 Another newcomer, Tamp Culture has been gracing the streets of Reading since April this year. Tamp Culture has also been nominated for the Best Takeaway Coffee Award. Having largely excluded the coffee shop/roasters, I feel that they at least deserve a mention, starting with those from the USA, where the model seems much more common-place. From Philadelphia we have La Colombe, Elixr and ReAnimator, while in New York there’s Stumptown. I also visited a couple more in Paris with Coutume and La Caféothèque, while leading the way in Ireland is Dublin’s 3FE. Not to be outdone in the UK, we have Reading’s Workhouse Coffee, Cambridge’s Hot Numbers and North Berwick’s Steampunk, while when it comes to coffee shops who double as retailers, there’s Edinburgh‘s Fortitude and Machina Espresso.